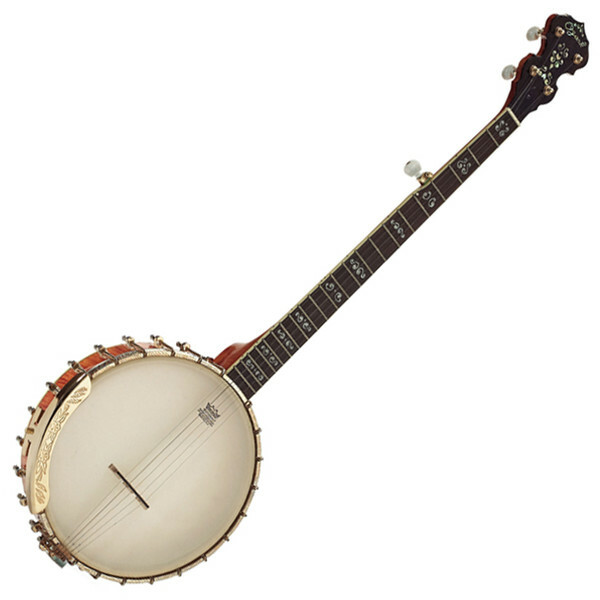 The Ozark 2143OG is an excellent choice if you're looking for a superb open back banjo. Featuring a 'Whyte Laydie' style tone ring, gold engraved fittings and a Remo drumhead, the 21430G delivers gentle but full bodied sound. The 5 string banjo features a 22-fret Rosewood fingerboard with detailed inlays, along with 24 plated brackets and double coordinator rods that allow you to alter the 'action' of the banjo to suit your particular style of playing. The 2143OG from Ozark offers superior looks and tone as well as impressive volume.